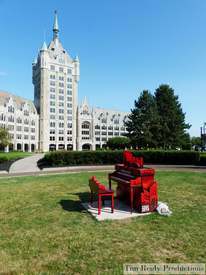 The “Let’s Paint the Town Red” piano was decorated by Mitchell Biernacki & Tony Iadicicco and is sponsored by O’Connell & Aronowitz. Thanks, Play Me, I'm Yours! 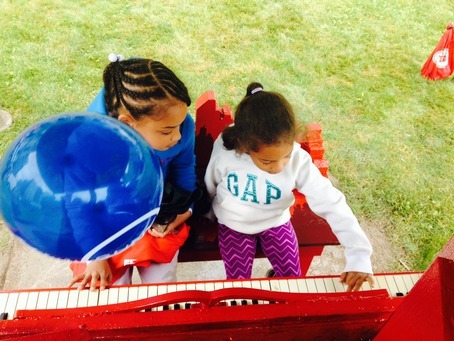 APL had a blast playing the street pianos! 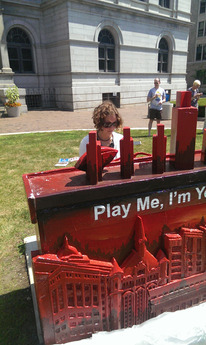 The hot, midday sun couldn't keep the APL staff away from Play Me, I'm Yours. 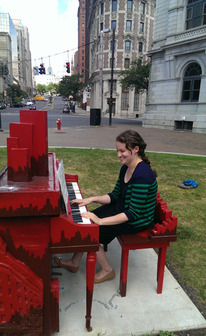 APL staffer, a street piano, and a historic location in beautiful downtown Albany. 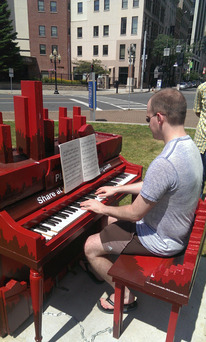 APL staff took a street piano break on a sunny day. APL staff hearts Play Me I'm Yours. APL staff member plays a classic Hank Williams tune! 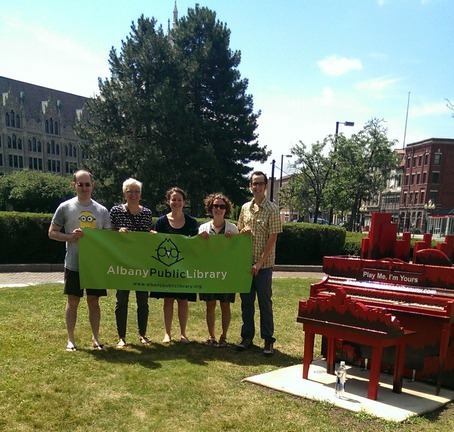 Albany Public Library staff play "Heart and Soul" on a sunny day in beautiful downtown Albany. 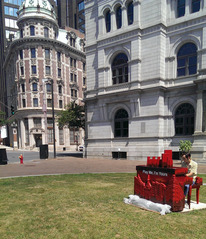 Albany Public Library staff answers the call to "Play Me, I'm Yours." 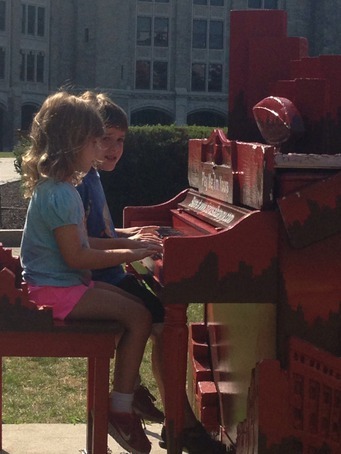 Members of the Albany Public Library staff stopped by the SUNY Plaza Play Me, I'm Yours piano on July 14, 2014. 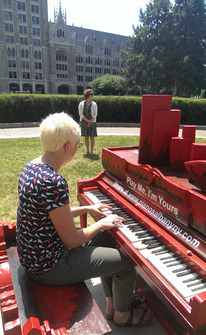 Staff members of the Albany Public Library stopped by the Play Me, I'm Yours piano at SUNY Plaza in downtown Albany. July 5 - Sibling duet warming up for McCartney.